When it comes to trusting a company, a lot of different things usually come into play. Customers rely on everything from the quality of your physical space, to the mannerisms of your staff. All these together send signifiers that you’re a company worth putting time and money into. But, in the modern climate, things aren’t as simple as that. With many businesses now operating online, those trust signifiers of old are no longer relevant. Add to that the fact that significant computer breaches are happening more and more, and you have a nightmare on your hands. Before they’ve even given you a chance, customers will approach you with distrust. The good news is, that doesn’t mean you have no chance of ever building trusting relationships. It just means you have to find new ways to make them happen. And, one sure way to achieve that is to turn your attention to your credentials. These are important in any aspect of business, but they’re especially vital in e-commerce. After all, these are the only real signifier to your customers that you’re worth their time. You can be sure that they’re the first place many customers look. To help you get this under control, we’re going to look at some of the credentials you want under your e-commerce belt. We live in an age where online reviews can either make or break a business. So, you should turn your attention to these first. Whether it’s a scathing review left on your social media page, or a one star on your website, you can be sure a bad review will have an impact. Instead, you need to make sure that you have a clean slate across the board. Equally, having no reviews is a big issue. If a customer can’t find any client testimonials, they might not even give you the time of day. As such, you need to go above and beyond to not only secure reviews, but make sure they’re good. Fast postage, effort with packaging, and exceptional customer service should all be part and parcel. And, follow every sale through with a request for review. Official credentials are also crucial for trust. In restaurants, these include hygiene certificates and star ratings. In retail, they include things like retailer of the year awards. In ecommerce, they include things like SOC 2 Compliance certificates. This is a sure sign they can trust you with their details, and not have to worry about breaches. And, that’ll go a long way towards increasing levels of trust. If an official board has deemed you fit for service, your customers aren’t going to argue. Partnerships with companies people already trust can also help here. If you collect payment through Paypal, you can be sure customers will be less hesitant. It also pays to deliver through courier services with the best reputations. Even if your customers don’t trust you yet, their trust for these companies will roll over into sales. 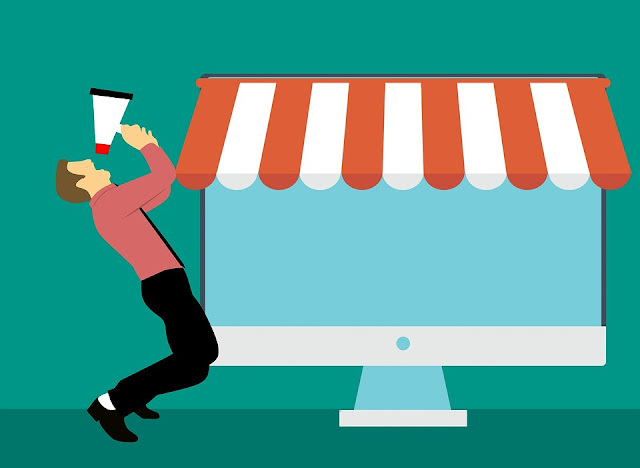 I hope you enjoyed this article about the credentials you need under your belt when it comes to ecommerce sales success. Interested in more articles about online marketing?